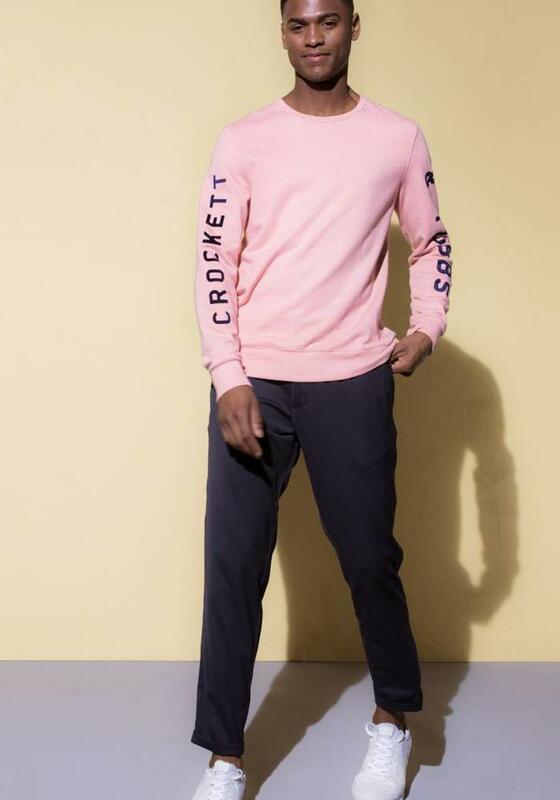 Men's sweater from the Dutch brand The Goodpeople, model Tubbs from the Miami Vice SS18 collection. 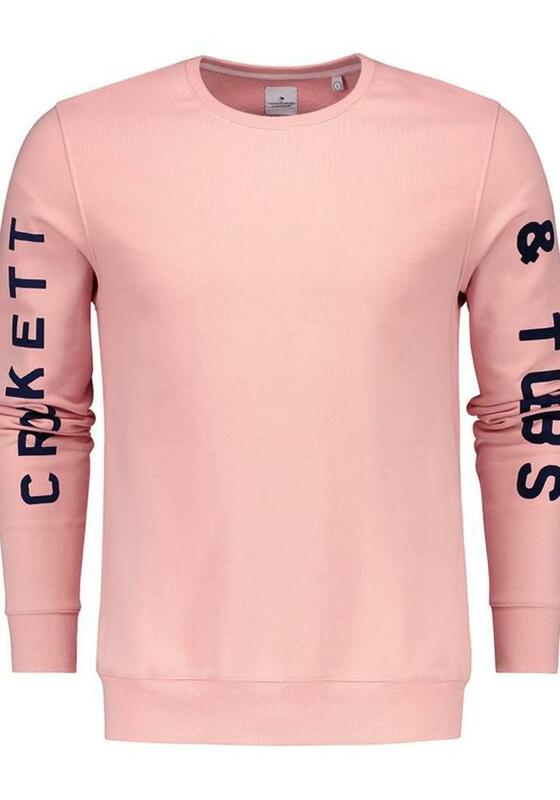 This pink sweater has the text 'Crockett & Tubbs' applied on the sleeves, a hint to the police duo Sonny Crockett and Ricardo Tubbs from the' 80's hit series. 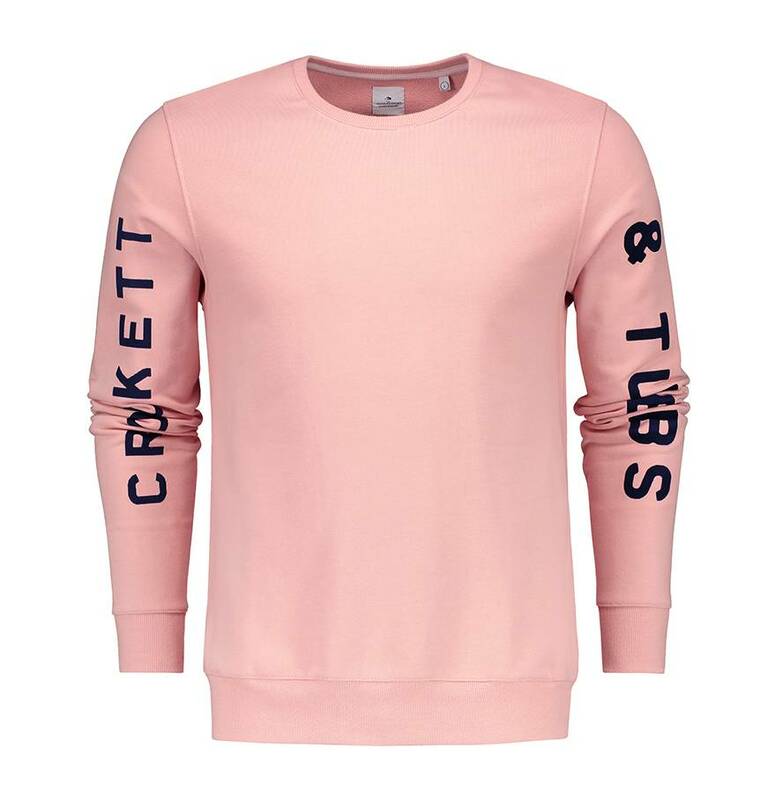 The letters have a velvety appearance and contrast nicely with the smooth material of the rest of the sweater.